Thanksgiving is over ladies and gentlemen. And as the last leftover turkey sandwich settles in for digestion we must all turn our heads towards the oncoming holiday season and the joy and warmth it brings. As the climax of the holiday season draws near and the last weeks of the year come into play, the world slows down just long enough to give us all time to enjoy the good company of friends and family. Familiar songs ring from the radio, the smell of familiar foods waft through the house and familiar relatives drop by—usually unannounced. But, the end of the year isn’t here yet and before you can slow down and lift a glass of cheer you have some shopping to do. And here at Executive Essentials, we have two words for you: gift pens. What? You thought we were going to say trousers? In particular, we’d like to talk a little about personalized ink pens and custom imprinted pens. At Executive Essentials, we have a wide variety of classic and modern pens that will strike the fancy of any friend or relative you need to shop for. 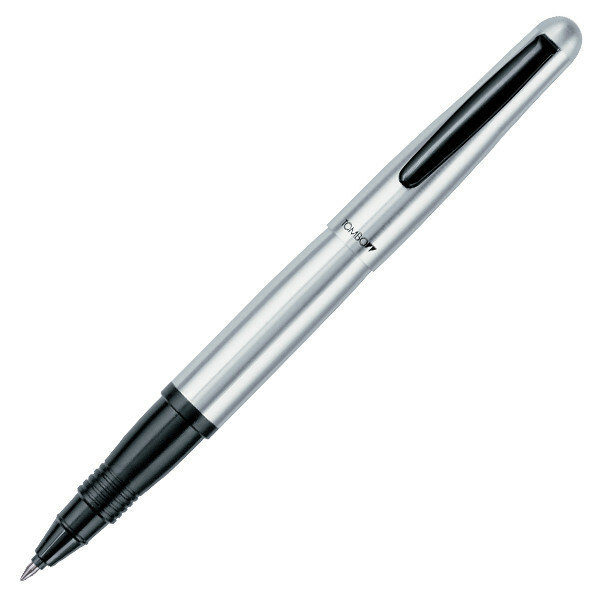 In fact, we carry engravable pens from top name brands such as Montblanc, Cross, Waterman, Parker and more. And, if you’re worried about price, don’t be. Even though many of those name brands have pen lines that come with a high price, Executive Essentials carries a slew of pens at prices that are more in the range of a gift, rather than an inheritance. Have look at some of these great customized ink pens. Let’s start with some more affordable pens and work our way up to those that are – well – less affordable. Now, it’s important to remember that affordable does not mean cheap, especially in the world of pens. And that is exactly the case with the Cross Century Sport. This is Cross’s newest slim swivel-action ballpoint. It features an inventive flat-to-flare twisted clip. The sport is a combination of engineering and agile styling with a translucent satin finish and topped off with brushed chrome-plated appointments. This is a pen that takes engraving well. Burnish the name of a friend or relative on the side of this sleek writing instrument and present it with joy in the premium gift box it comes in. Yours for under $34 plus shipping with engraving! This Metro from Waterford has a unique 1950’s style with a touch of modern flair. It has a streamlined barrel that lends it to a wide variety of hands with a weight that is balanced well for those who don’t like to brute force their way through each word. With its tailored and elegant shape, the Metro Collection is easy to handle in-between the lines and eye catching all at once. Through it all, it delivers a smooth and comfortable writing experience. Appointed with a solid brass cap and accented with gold trim this pen is ready made for engraving and sure to please. At Executive Essentials right now you can have this pen engraved and under the tree for under $54 plus shipping. A personalized pen is a gift that will continue to have value throughout the life of the recipient. With luck, the joy of that pen will be passed down generation after generation. Although, don’t expect the ink to last that long. The fact is, a good pen will outlast its owner, and if that pen is personalized, that owner will live on in that pen. These are the way memories are made and how new generations are reminded of the one that came before. There is no better pen to carry that message than a Parker Sonnet Rollerball. This rollerball has a stainless steel body brushed with a texture effect and then polished for a smooth touch. The pen is outfitted with 23 karat gold accents. Its modest and streamlined shape makes it comfortable for both men and women. With its arrow clip adorning the pen cap this pen is all Parker. Make this pen a gift for under $90 plus shipping. Someone will thank you for it. Meisterstuck is German for “masterpiece” and this pen lives up to its name. One of the most highly sought after pens from one of the most respected pen companies ever, Montblanc Pens create writing instruments for people of all ages and all walks of life. And they have been doing so since 1924. This Classique Ballpoint is hand-crafted with pride and care to craft a precision instrument capable of writing plays or jotting down grocery lists. It has a rich, luscious ebony-black resin barrel and cap that contrasts magnificently with the three gold-plated rings banding its circumference. Unfortunately, we are not allowed to tell you just how much this pen costs, since Executive Essentials is proud to be an Authorized Montblanc Dealer, and therefore we do not post prices on our website as per their rules. However, I do suggest you take the time to request a price. You’ll be happy you did. In a world where technology is quickly taking over every aspect of our lives, it’s too easy to get wrapped up in iPads, Nooks and 3D TVs. It’s too easy to plug in and drop out. So, this year, give your friends and family a tool that will allow them to plug into themselves. Give them a reason to reflect and a way to capture those reflections. 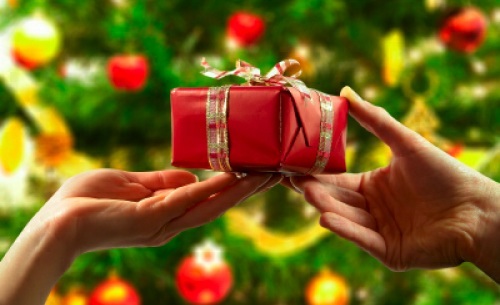 After all, getting the economy back on track isn’t the only reason you’re buying gifts this year. The problem with electronic gifts nowadays is that instead of us consuming them, they consume us. And they do it everywhere. In the old days when we left our homes, we left our electronics behind. But now, our electronic devices come mobile and pre-packed with a constant stream of distraction. When it empties, we fill it again. This form of entertainment isn’t necessarily bad, but it doesn’t demand anything from us. It doesn’t challenge us or ask us to think – critically or otherwise. It just gives and gives until we either decide to turn it off or it runs out of batteries. To be absolutely, 100 percent clear. We at Executive Essentials do not hate mobile electronic devices. On the contrary, we love all they have to offer. We just think that gift giving should be an opportunity, not an excuse. It’s a moment you can take to offer a friend or a relative something more than a distraction. Something that has value beyond this year and well past the next. A gift that compels creativity, demands interaction and opens up our abilities to share, produce and imagine. That gift is a pen. Over the course of the next few weeks, we are going to share our thoughts on some of the best gift pens from a wide variety of brands with an even wider variety of prices. We’ll talk about fountain pens, mechanical pencils, rollerballs and ballpoints. We’ll roll out some staff favorites, talk about utility, fashion, design and of course style. So come back often this month to see what we’re talking about. But, if you just can’t wait, you can check out this catalog of wonderful holiday gifts. Quick gift ideas. That’s what this month is all about at Executive Essentials. And, just like Santa himself, we are going to sneak into your house (you’re going to come to our site), drop off some gifts (ideas really, just gift ideas) and eat all your cookies (actually we give you cookies – it’s complicated). Ok, so maybe we aren’t exactly like Santa, but we do have a slew of great gift ideas to inspire you this season. This idea is about ornaments, red and green. You can pick any of the wonderful red or green pens from the Executive Essentials catalog to pull off this simple Christmas gift idea. Simply shop around for the pens you like and then hang them from your tree. Symbolizing the colors of the season in an almost icicle like form, these decorative pieces will probably go unnoticed until you point them out to that special someone. If you think you might have trouble keeping it a secret, you can always hang them up after the rest of the house heads off to count sugar plums. You’d be surprised at the affordable ‘ornaments’ you can find in the range of red and green, like the Waterford Claria for under $35 and the striking Caran d’Ache Metal X Ballpoint for under $20. Both perfect gift pens for Christmas or any holiday. So what are you waiting for? It’s time to trim the tree.